Multi-platinum selling and award-winning recording artist Craig David has dazzled employees, suppliers and media at an exclusive ceremony to celebrate the launch of Marella Cruises’ newest ship, Marella Explorer, in Palma, Majorca. Davis surprised guests with a set from his world-renowned DJ show TS5, playing many of his much-loved hits including ‘Fill Me In’ and ‘7 Days’ as well as ‘I Know You’, the latest smash hit from his new album ‘The Time Is Now’. Following a rebrand in 2017, the launch of Marella Explorer was an opportunity to showcase a more modern Marella Cruises. The live show creative theme, ‘energy and light’, provided a fitting canvas to express the new phase of Marella Cruises’ journey. Pioneering technology was used to create a show-stopping christening ceremony. The glittering production featured mappable versatube lights and LED wristbands to create a dazzling light universe across the whole top deck, making the audience part of the visual canvas to highlight the importance of the Marella Cruises crew. The guests’ wristbands activated during David’s performance, changing colour to the beat of the music, while floating pool lights and lasers heightened the futuristic display. As the countdown began to officially launch Marella Explorer, ten special team members - each representing a different part of the ship – held a beam of light that released the champagne bottle to christen the ship. David commented: “It was great celebrating the launch and performing on the Marella Explorer in Palma tonight. I loved surprising the crowd, the atmosphere was electric. “With my TS5 Pool Party at Ibiza Rocks kicking off from early July this has been the perfect warm up to what is going to be a Summer to remember in the Balearics. Marella Explorer offers even more choice, space and flexibility to customers with two new cabin types, a family balcony cabin which sleeps up to five and a balcony cabin that offers more external space; ten restaurants with new premium dining options and 12 brand new entertainment shows. Alongside all of these exciting new additions are a team of 830 Marella Cruises staff who will continue offering Marella Cruises’ renowned friendliest service at sea. Managing director of Marella Cruises, Chris Hackney, said: “The launch of Marella Explorer marks an exciting time for us as she is the first ship to officially launch under the Marella Cruises name, so it was an honour to have Craig David join us in celebrating such a fantastic night. “The crowd went wild during his performance. 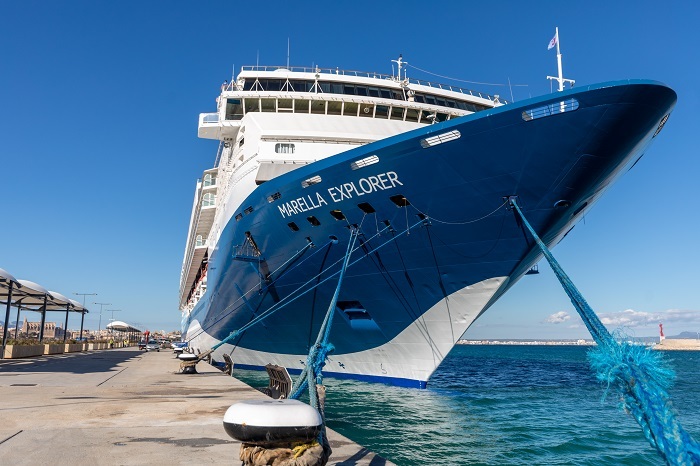 “Marella Explorer marks the next step in the continued modernisation and growth of the Marella Cruises fleet. Marella Explorer will set sail on her maiden customer voyage on Saturday May 19th, visiting a variety of ports in the Mediterranean for destinations such as Villefranche, Barcelona and Naples. TUI’s fleet currently comprises 16 cruise ships. TUI Group’s cruise subsidiaries TUI Cruises, Marella and Hapag-Lloyd Cruises will take delivery of additional new ships in 2018, 2019 and 2023 in order to further expand their market position. Last week, TUI Group’s board also gave the green light for the construction of another expedition cruise ship for Hapag-Lloyd Cruises. Hapag-Lloyd Cruises will shortly start the planning and negotiation process for a further Hanseatic class ship.